Nicholas Creel needs a war. The head honcho at the world's largest and most aggressive defense contractor is hankering for a bloody hoedown to bolster his company's coffers. That puts him in the crosshairs of investigative journalist Katie James and a mysterious covert op known only as Shaw. David Baldacci's thriller pulsates with intrigue and excitement. A huge defense contractor hopes to stimulate his business ventures with a few fake news stories. Enter our heroes Shaw (whose fiancée was murdered in a resulting bomb blast) and Creel (a disgraced reporter) to get to the bottom of the problem. 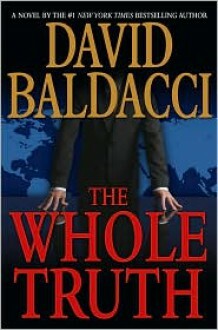 Typical fast paced Baldacci. Enjoyable read.